The LARP Imperial Mace takes inspiration from the weaponry of the 12th century European knight, but possesses a sinister flair that makes it perfect for an evil warlord, goblin warrior, or undead minion from a high fantasy kingdom. The head of this club weapon features six flanges. A three leaf clover accents each flange. More clover patterns and a wooden finish decorate the shaft. 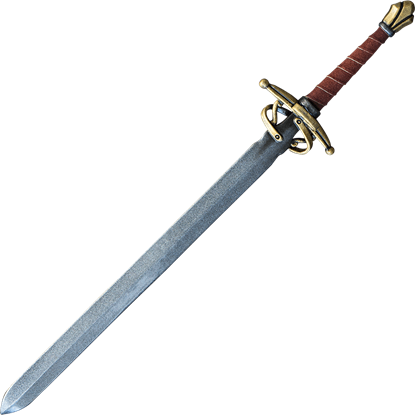 A small, round crossguard and matching pommel adorn the hilt. Split-leather wrapping strengthen the grip of the handle. 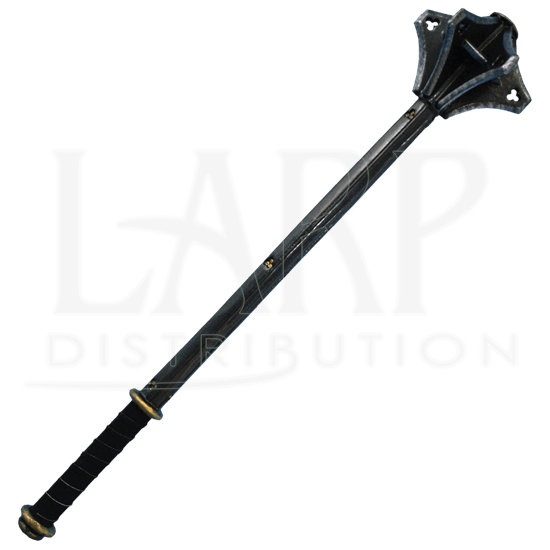 For LARP archers, beginning archers, and tag-style archery enthusiasts, we are pleased to offer our LARP arrows. 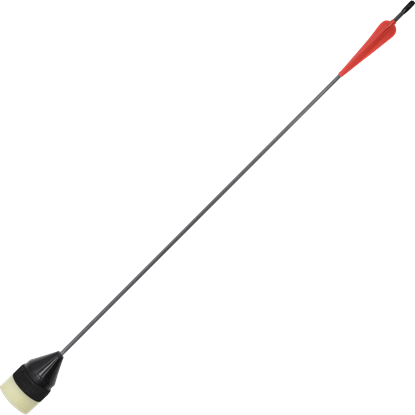 These arrows can be used on bows with maximum draw weight and draw length of 30 pounds at a 28 inch draw. 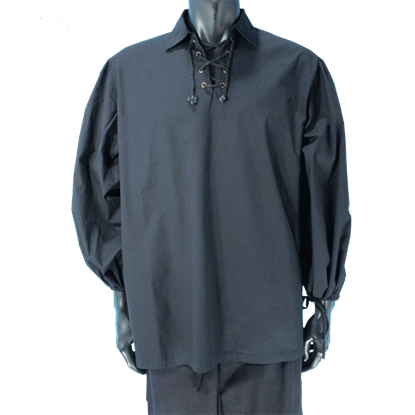 This shirt has the classic style you need for any period look, with a folded over collar, lace up front, and full sleeves. The sleeves also have ties at the cuff, so you can wear it with a full length sleeve or cinch it up at the elbow. When you wield our LARP Wing Sword, your movements will feel light as a feather. This durable sword features a wing-shaped guard and is solidly constructed, made from a flexible fiberglass core wrapped in foam and latex. 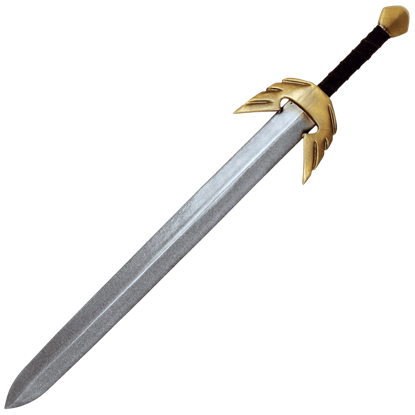 Our Noble LARP Sword is made from extremely durable foam that does not shred and is sealed with latex. 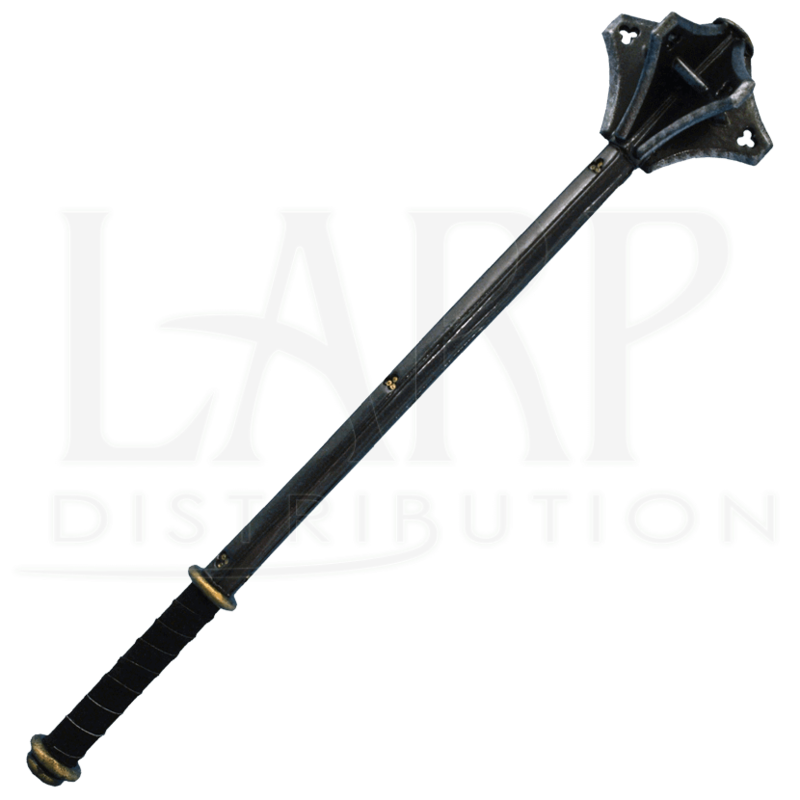 Safety is always an issue in LARP, which is why these have a round flexible fiberglass core with strong Kevlar core tip protection.